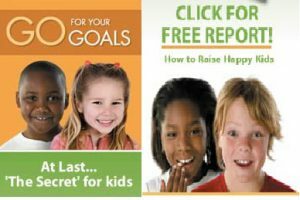 I stumbled upon a site a few years ago named “4lifehappykids”, which was offering materials using which one can teach the law of attraction to kids. As I am very keen about making people aware of the importance of the personal development of kids, I decided to buy it and see if it is worth suggesting to my readers. I must admit that I found this success training for kids product quite impressive because they have designed it in a way that children will enjoy learning it and they will find it interesting to perform the exercises taught in the course. If you are a person who already has some knowledge about the universal laws, then you might be aware how important it is to teach kids about their creative power. In this age, whatever will be taught to them will become their reality in the future since a child’s subconscious mind is wide open to receive suggestions, that’s the reason why I am so much interested in informing people about the products that are aimed for the personal development of kids. The guy who is selling it is not the actual maker of the program, but it is prepared by some of the experts in the area of children education and growth. Let us now take a close look at this product so that you could know if it is useful for you or not. What Is the Law of Attraction for Kids Course all About? 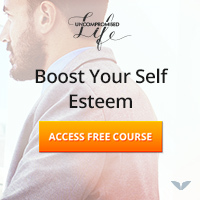 This program is basically a tool using which parents could become the life coach of their kids because what you will be getting in the package will enable you to guide your kids in achieving their goals. Kids learn most of the things from their parents, so you will also be able to become a perfect example for them as a person who follows the success principles since you can also use this knowledge for your own betterment. Isn’t it wise to use the time that you give to your kids to teach them something so profound that will stay with them forever? What I love about this product is that your kids will actually like it and cooperate with you. You don’t have much to worry about how to use it because the parent’s guide you will be getting in the package will help you with it. And in case you are busy, then your kids can also do it on their own if they are big enough to learn from books. Goal Setting – One of the prime concerns of these books is to help kids to set proper goals so that they could achieve it and gain confidence for their future endeavors. Winner Mindset – You will be able to build a winner mindset for your kids using these materials because they will learn from this course about how to think like people who always win as if they have the Midas touch, it will encourage them to go for the things that they actually want rather than following the path of the usual crowd. Success Programming – As I mentioned before, our powerful subconscious mind creates our reality based on our core beliefs and these beliefs were ingrained in our minds during our childhood, so here you will learn how to plant ideas in your child’s mind that will set their behavioral patterns in a way that success will become a natural thing for them. 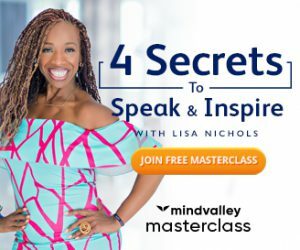 Special Skills – We all have special skills (like intuition) that we don’t know how to use because nobody ever told us about it; you will be able to make kids aware of those skills using this knowledge. Self Image – Self image is the opinion we have about ourselves; these are the ideas present in our inner mind that makes us who we are, so these materials will help your kids to build a positive self image which will result into a healthy self esteem as well. Deliberate Creator of Life – The best thing about this program is that you will be able to teach kids to become responsible for what happens in their life, this way you will enlighten them that they are the creator of their reality and they do have control over it. This is an eBook for young kids that will teach them about goal setting and the steps for achieving them. I liked the way they teach visualization for small kids, it is something that I believe every parent must teach to their kids because visualization is a very essential technique for bringing oneself into the right state so that they could succeed in making their dreams come true, and encouraging it from such an early age will make it a part of their life. This eBook is for the big kids and you know the problem with big kids, they run away from boring books. However, this is something that they will love because this book makes them do to fun stuff related to the teachings. I really don’t think it would be an issue for you to make them read it and I am pretty sure that they are going to enjoy it. This is a goal setting book for parents so that they could properly assist their kids to make the most out of what they are getting in this program and learn a few things in the process so that they could act as an example for their children. As you have seen I have been positive throughout this whole review, so I do recommend this program strongly because I so want youngsters to gain the knowledge of their creative ability. It is not that I am a very big fan of this particular product, but I am specifically concerned about the personal development of kids because somewhere inside my heart, I regret that I wasn’t introduced to such wisdom in my childhood because in that case I would have been a lot of steps ahead in my self-growth journey than where I am right now. I don’t want to blame anyone for it because my family and society gave me what they can, but I have something better to offer for the new generation and that’s why I keep writing about the creative power of kids here on my blog. Hence, from my opinion, it is far better to gift them something like this rather than anything else because these tools and success principles is something that will always help them to progress in their self-growth journey. Even if you don’t believe in the law of attraction, this product has lots of other essential things for your kids. For more information, you can visit the product website.